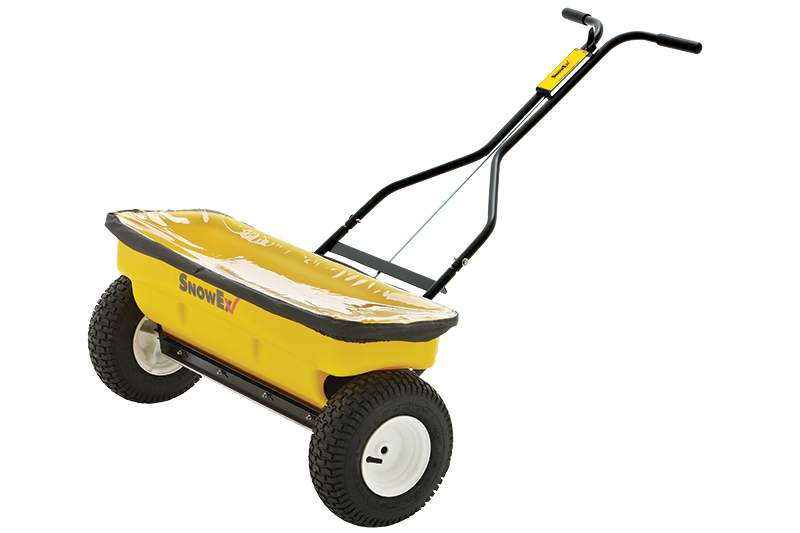 The SnowEx Walk-Behind Drop Spreaders provide a 28” wide coverage and only drop rock salt or pelletized materials where they are needed, making them an ideal option for spreading on sidewalks, narrow walkways and near landscape in Fargo. The poly hopper construction requires low levels of maintenance and is available in a steel or stainless steel frame. Drop spreaders apply material directly to the ground below, making it easy to contain material to a confined area. Clear poly cover provides hopper protection while allowing the operator to see material levels.